One of the great advantages of online video journalism is that it allows you to break away from the constraints of television journalism. The internet provides a space for greater creativity, experimentation and variety. As Adam Westbrook and US journalist Paul Balcerak have suggested, there is greater artistic potential in online video journalism. But experimentation with form, as Westbrook points out, should not detract from quality. There are several key rules surrounding form that can be broken, but certain fundamental rules must be adhered to. Here are five sites that show exactly how online video journalism allows for a more artistic form of visual storytelling than its television counterpart. This channel contains some excellent shorts, each one is a two-minute treat. There’s also information about some of the filmmakers. A Cup of Tea (below) – a look at Sri Lanka tea makers. Stunningly shot. This is a US-based organistation. It consists of 30 local community newspapers, but its blip.tv channel has a wide variety of video reports. This year’s winner of the RTS Camera Operator of the Year Award. As you’d expect, his videos contain some exceptional camerawork. He works for AP and is based in Bangkok. In most of his films, he uses stills accompanied by first-hand witness accounts. But some films do include video footage. Adam Westbrook’s Vimeo channel collates a pool of films by different producers that exemplify the creative art of online video journalism. In the second part of this series, I shall look at some of the most well known online video journalism channels and will give an overview of their style and content. The Young Turks (TYT) is a new media talk show that covers news, politics, pop culture and lifestyle. It started as a talk show on Sirus Satellite Radio in the US in 2002 and then with the launch of YouTube in 2005 it soon became a successful webcast with one of the largest and most viewed channels on YouTube. The host is Cenk Uygur, a regular contributor to MSNBC and the Huffington Post. In an interview with the Guardian last year, he told them that he wants to start a real political revolution in the US. The Young Turks itself is apart of a media revolution that Uygur hopes will replace traditional television. It has on average over 13 million viewers a month, with the majority coming from the US, Canada and the UK. With just six other full-time members of staff and a monthly budget of just $45,000, the success of TYT has been quite remarkable. They make their money through sponsorship, subscriptions and YouTube revenue sharing. It has no advertising budget, the viewers provide the publicity by sharing links and clips on social networking sites. This is like word of mouth to the masses. The TYT has also been recognized by its peers for the sterling work that they do. They beat both the BBC and Rush Limbaugh, the leading talk radio host, to win Best Political Podcast 2009 at the Podcast Awards and Best Political News Site 2009 at the Mashable Awards. If all online video journalism could aspire to the standards of TYT then perhaps Uygur is right and traditional television may soon become obsolete. Protestors in late January 2011 in Tehran, Iran. Facebook, Twitter and Youtube have been tools of amusement and, more lately, business, for most of the western world. But following events in Egypt and Tunisia we have come to see these new social media and video sharing sites as the lifeblood of revolution. Online video sharing has become a seemingly unstoppable force as technology-literate young people take advantage of these new arteries of information to share ideas and expose footage of government brutality to a global audience. An idealistic mood has gripped the world as it seems inevitable that totalitarian regimes are doomed to crumble under the steady erosion of Western ideas and technology. But is this real? Can these new tools create a de-facto democracy across the globe, or do they only pose a threat to those regimes that, ironically, already permit some social freedoms? Take Iran. Within hours of the initial protests in Egypt and Tunisia the internet was flooded with amateur footage of citizens demonstrating against the regime followed by more disturbing sights of police brutality. Please be aware that the following video contains images that some may find distressing. This video was one of many that exposed the brutality of the Egyptian police and soured any international sympathy for Hosni Mubarak. But from Iran, a much stricter and more brutal regime than Egypt, only a handful of videos of the recent protests have emerged, mostly shot by professional journalists whose status as foreign nationals offers them some measure of protection. For many ordinary Iranian citizens, identifying themselves as supporters of the protests by uploading footage to the internet is simply too risky and as long as the government controls which sites can be accessed the power of the online world will inevitably be tempered. Iran’s internet censorship laws have tightened in recent years, particularly under the leadership of Mahmoud Ahmadinejad. The kind of bloggers who were able to spread dissent in Egypt cannot exist in Iran. 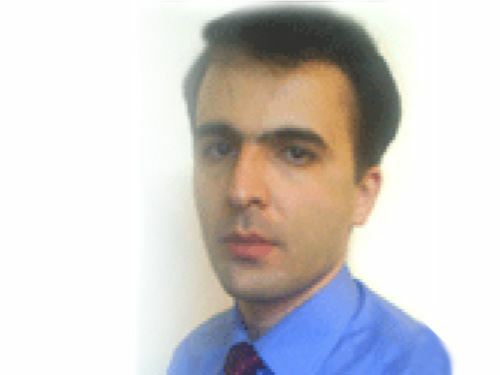 Omid Mirsifayi: An Iranian blogger who died in prison under suspicious circumstances in March 2009. He had been written about traditional Persian music and culture, not politics. Apparently this was still enough to attract the attention of the Iranian authorities. Also, crucially, in Egypt the army refused to fire on protesters. In contrast Iran has the Revolutionary Guard – a 100,000 strong, heavily armed force who are renowned for their fierce nationalism and religious zealotry. It seems unlikely they will be swapping flowers with demonstrators on the streets of Tehran as we saw in Cairo. This isn’t the first time Iranians have clashed with police. As recently as 2009 anti-government protests were put-down by security forces and opposition leaders were executed. Those protesters had the same online technology available then and it wasn’t enough to overthrow the regime. The internet itself may be a world without rules; in cyberspace the individual with the right technical skills can raise a banner of defiance against a brutal regime and reach an audience of millions. But a keyboard offers no protection when secret police come banging at that same internet protestor’s door. Popular opinion is that winds of change are blowing through the middle east – and this may turn out to be true. Perhaps political dissent within Iran will spread as it did in Egypt and the regime will crumble. But if it does, this victory will owe at least as much to international support and tactical organisation against a heavily armed enemy as it will to video-journalism . The internet can provide a vital catalyst to rallying public support within a nation and spread word of government oppression to a sympathetic audience in the West. But as long as the state can censor content and has a force of soldiers ready and willing to fire on unarmed civilians citizen video journalism may not be the magic bullet of revolution that we would like to believe it is. Go back just six years and online video journalism was an obscure technical specialism, its fruits accessible to few. In 2005 YouTube was launched, sparking a revolution in online video creation and consumption and the engagement of internet users worldwide. The recognition it brought coincided with the creation of a number of awards for online video journalists. These awards are increasingly prestigious as more and more news organisations and journalists tap into online video technology and the market becomes ever more competitive. The Guardian has shown innovation and creativity in both the form and content of its video output in the judging year. A small dedicated team produce the core video, while photographers and reporters are also trained to shoot video, which has meant that video output is not a mere copy of the broadcasters’ but something aesthetically unique, combining economy and creativity. The Guardian’s use of amateur footage of the death of Ian Tomlinson [see post Two stories that pioneered the power of online video] was noted. Kevin Sites helped innovate online video journalism. He is known as the ‘grandaddy’ of backpack journalists. He was one of the first to pave the way for independent, intrepid reporters carrying portable technology on their backs to single-handedly shoot, write, edit and transmit multimedia reports from some of the world’s most dangerous places. Sites began his career as a reporter/producer for various American news outlets including ABC, NBC and CNN. Sites’ work provoked controversy in 2004 when he filmed a US marine shooting a wounded Iraqi insurgent in the head in a Falluja mosque. 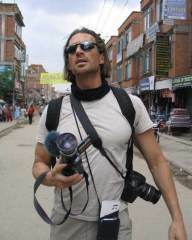 Whilst some were critical of Sites’ decision to film the shooting, he was praised by journalists for exposing the true realities of war through online video journalism. 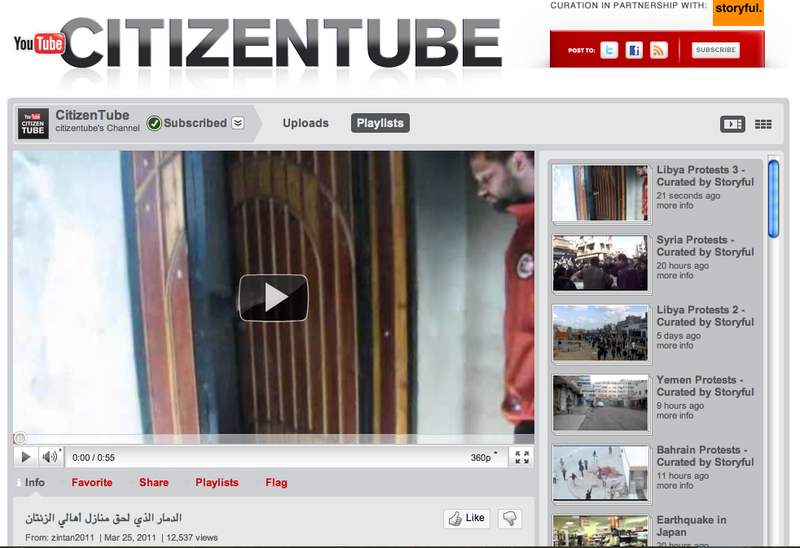 Below is YouTube footage of Sites’ video on the Faluja mosque shooting. Warning – graphic content, viewer discretion advised. In 2005, Sites left the TV networks and switched to online journalism. He was hired by Yahoo! as its first Yahoo! News correspondent and embarked on a year-long journey, travelling to all the major war zones around the world, reporting for his website ‘Kevin Sites in the Hot Zone’. According to his website his mission was “to cover every armed conflict in the world within one year, and in doing so to provide a clear idea of the combatants, victims, causes, and costs of each of these struggles – and their global impact.” This mission was all the more impressive given Sites worked alone. Although this was only six years ago, Sites’ expedition epitomises the trend away from well-resourced camera and production crews, and instead towards multi-skilled one-man-bands in the world of news and current affairs. His project was unique in the way it presented stories through mixed media including photographs, videos and written reports. Sites’ ‘Hot Zone’ project saw him visit nearly every region of the world including the Middle East, Africa, South East Asia, Central Asia, South America and Eastern Europe. His reports helped galvanise the notion of the modern media correspondent without a crew to support them. The real essence of Sites’ work was his focus on the reality of war zones and the stories undiscovered by mainstream media. During his trip, he spent time with Maoist rebels in Nepal during its long-running civil war – which finally resulted in a revolution and the installation of a democratically elected government, and a new constitution in 2006. Sites photographing a Maoist guerrilla in Kailali, Western Nepal. The anti-government protestors – largely made up of the People’s Liberation Army – had many women enlisted, and were thought of by their male colleagues as some of the fiercest fighters. Below is a YouTube clip of Sites’ video made in Nepal and Kashmir. Warning – graphic content, viewer discretion advised. Whilst his videos can be gruesome and saddening, he is widely recognised as a brave journalist willing to reveal the true atrocities of war. Sites’ contribution to online video journalism and to the exposure of the realities of war was recognised widely within the profession. In 2005 he won the Payne Award for Ethics in Journalism and was nominated for an Emmy. In 2006 the LA Press Club awarded him with the esteemed Daniel Pearl Award for Courage and Integrity in Journalism, and in 2007 Forbes Magazine listed him as one of the ‘Web Celeb 25’, calling him one of “the biggest, brightest and most influential people on the web.” The same year, he won the Webby Award for coverage of the Israeli-Hezbollah conflict. Sites grew up in Ohio and currently lives in California. He continues to work as a solo-journalist or ‘SoJo’. Lauren Luke shot to fame with her inspiringly primitive home-made video tutorials designed to teach others how to recreate celebrity inspired ‘looks’. Luke’s story is unusual. A single mum at sixteen from South Shields near Newcastle, she had already dropped out of school to look after him. She worked briefly as a taxi dispatcher, but then started selling makeup on eBay. Viewers began to ask how she achieved the looks she created with the makeup she was selling. She responded to the requests by replacing her videos made to sell make-up, with videos showing how to apply it, cleverly capitalising on the Western world’s fascination and even obsession with celebrity and appearance. Since she uploaded her first video in 2007 to her YouTube channel – Panacea81 – she has had over 88 million views and over 400,000 subscribers. In the world of online video, she is a huge success. Luke’s online video hits were so impressive, she was promptly snapped up by the Guardian for whom she regularly writes a beauty column and also posts videos (Luke’s Guardian column). She’s now got her own range of make-up and has published a book called Lauren Luke, Look Like a Star, which she launched on BBC Radio 4’s Woman’s Hour and Channel 4’s The Paul O’Grady Show. She’s been featured in several documentaries including the BBC’s Inside Out (Luke on Inside Out) Natalie Cassidy’s Real Britain(Luke on Natalie Cassidy). There is even a Nintendo DS game about her. It wasn’t just Luke’s tenacity that got her where she is today. Her ‘soft skills’ often noted as crucial in the professional world are impeccable – her chatty, friendly demeanour means she is likeable and this, combined with the service she provides have helped catapult her to the dizzying heights of the cosmetics world and online video. Luke shows that just about anyone can make a name for themselves by harnessing their ingenuity and using technology to communicate her ideas to the world. YouTube and other video sharing sites are the catalyst through which these communications are achieved. If you can get the big hits on your channel, you too can make big bucks along with Luke and other well-known characters made famous on YouTube such as the toddler Charlie who’s parents are pulling in thousands after they captured a perfectly simply yet hilarious conversation between their son and his toddler brother.